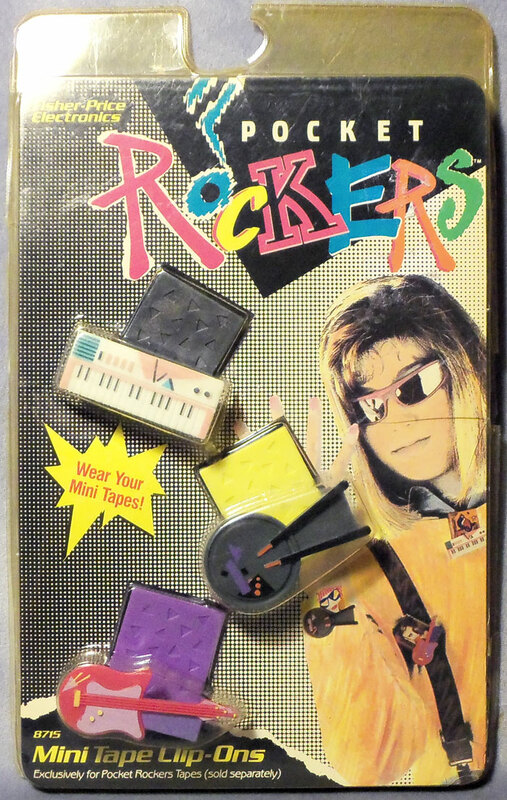 Description: This set includes decorative clip-ons to carry Pocket Rocker mini cassette tapes (tapes sold seperately). Designed for children ages 7 years and older. 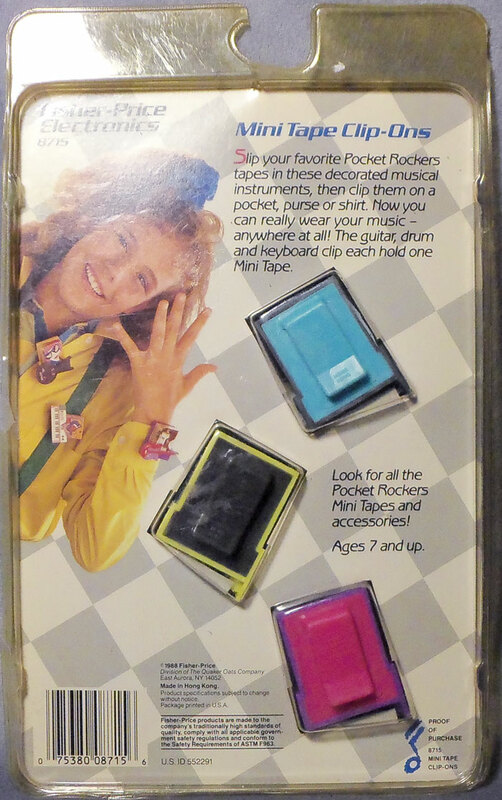 FPT22450 - Purple clip-on with a hot pink guitar with yellow and light purple details attached to the front. FPT22451 - Black clip-on with a keyboard attached to the front. The keyboard has white and gray keys and pink, gray and light blue details. FPT22452 - Yellow clip-on with a round dark grey drum (top view of a drum) with 2 black drum sticks. Drum has has hot pink, black, and purple designs. FP8715BOX1989 (Box ONLY) - Sold on a 6-1/2" long, 10-5/8" high, 1" deep clamshell blister card.